Silhouette Print and Cut is one of the most popular - but intimidating - ways to use the Silhouette cutting machines. 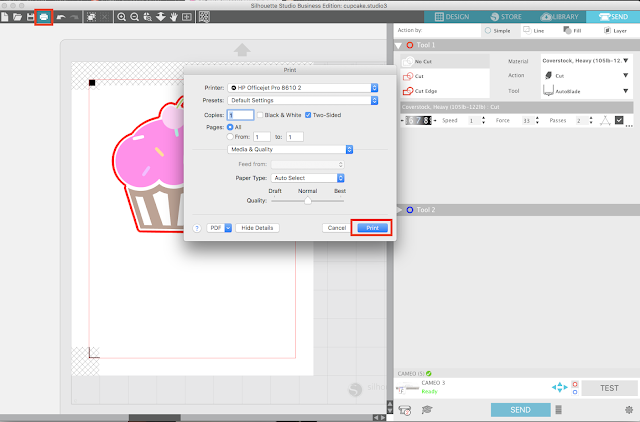 With the May 2017 release of Silhouette Studio V4 it's become even more confusing because most of the print and cut tutorials are in old versions of the software. For that reason I thought it was worth sharing an updated version of the Print and Cut with Silhouette CAMEO tutorial for beginners for those just starting out with Silhouette Studio V4 or those transitioning over! 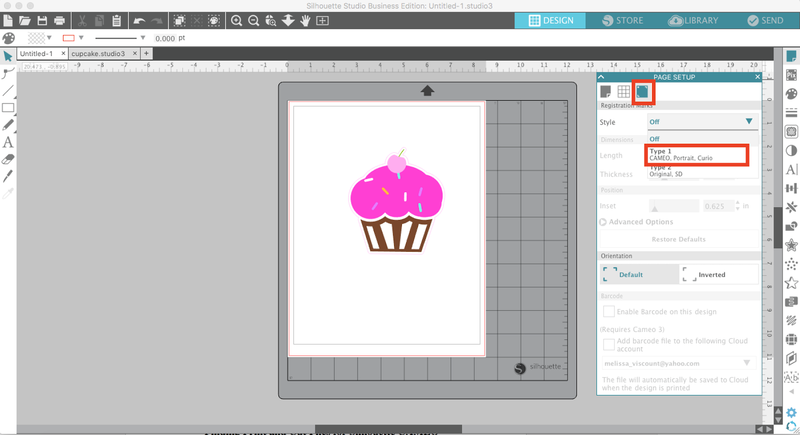 If you're learning to print and cut in Silhouette Studio V3 (aka your software looks different than what you see here) check out this beginner CAMEO tutorial. Since it can be difficult to know what a Silhouette print and cut file looks like, I'm going to provide you with a free design to download. 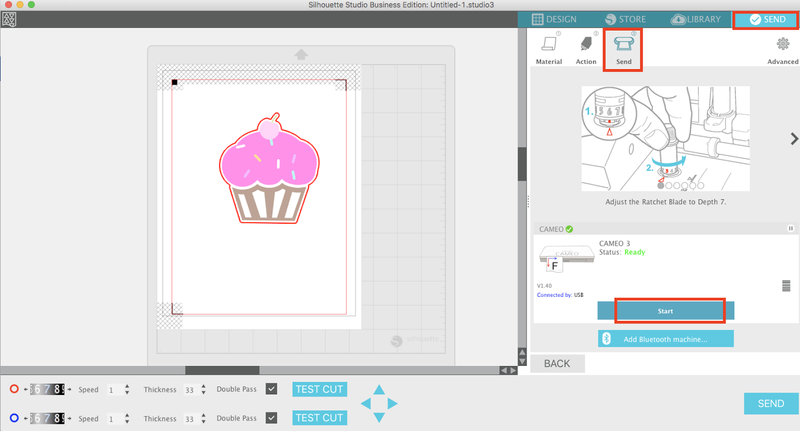 This way we're all working on the same Silhouette design and it will be easier to follow this V4 tutorial. Once you've downloaded the free Silhouette design on your computer open Silhouette Studio and go to the File menu. Click "Open". Navigate to the file on your computer. This will open the design in your Silhouette Studio design work space. If you purchase print and cut designs from the Silhouette Online Store (they will be marked with a "P" in the store), they will save to your Cloud folder. 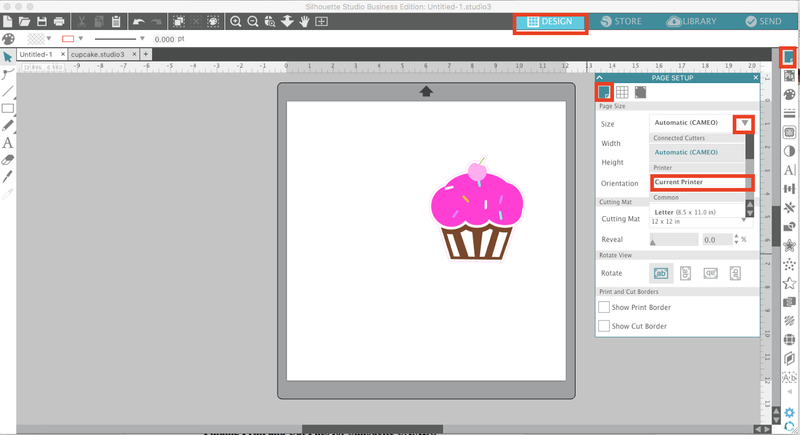 To open a design fro your Silhouette Cloud folder or the library, go to the library, find the design, double click it and it will open in the work space ready to print and cut. You can also convert Silhouette cut files into print and cut files, but that's a slightly more advanced technique. Check out this advanced Silhouette Cameo Print and Cut tutorial that walks you through making any file a print and cut file here. Now that you have your design in the work space you'll need to change the page size to match the size of the paper you are going to print on. 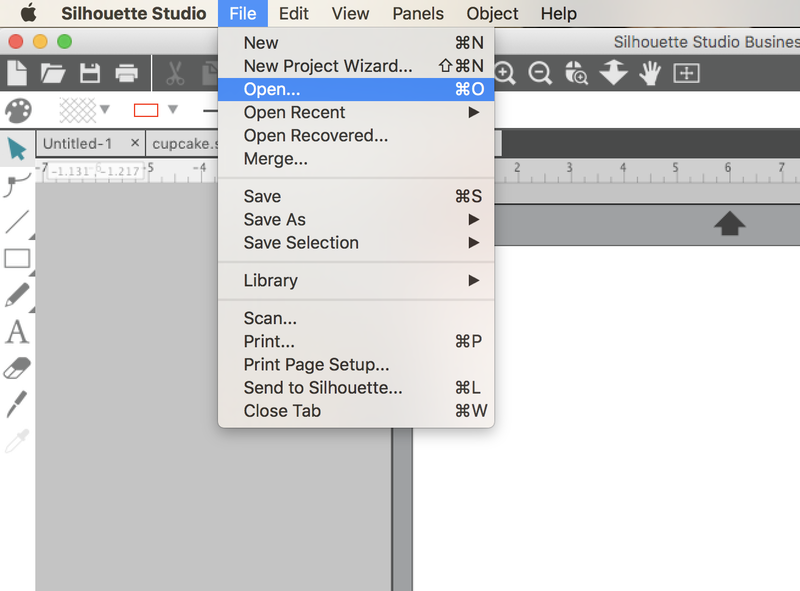 Open the Page Setup tool from along the right sidebar. In the panel, change the Page Size to "Current Printer". This will adjust the size of the cutting area on your virtual cutting mat in Silhouette Studio. Further down that same panel, make sure you have the orientation set to portrait rather than landscape. At the bottom of the panel, check the boxes for "Show Print Area" and "Show Cut Area." This will put two borders on your work space indicating the safe print and cut areas. Anything outside these areas - including the print and cut registration marks which we'll add in the next step - will either not print or not cut. Now we need to add registration marks. These marks tell the Silhouette CAMEO machine where to cut around the printed design. From the same Page Setup panel click the third tab to open the Registration Mark panel. From the drop down menu click "Type 1". 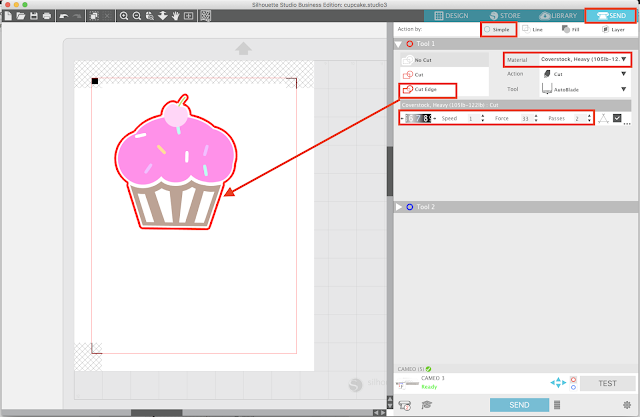 This adds 3 markings plus some hashed areas to your design area in Silhouette Studio. The Silhouette Studio keyboard shortcut to turn on registration marks is "M" on the keyboard if you prefer keyboard shortcuts. With the registration marks on, the print and cut borders on, and the page size set to match your printer, move your design inside all of those marks so that it safely prints and cuts. Because this is a Silhouette print and cut design file specifically, it's been set up with just one cut line around outer edge with all interior lines set to "No Cut." You'll see what I mean as we work through the Send panel. Open the Send panel from along the top bar. For this beginner tutorial let's stick in the Simple move. Select the material you'll be cutting - this is likely coverstock, cardstock, or some type of sticker paper. But don't forget, once you get the hang of addicted to Silhouette print and cut you can use this same process with printable vinyl, printable heat transfer, temporary tattoos - all with your Silhouette CAMEO or Portrait machine! Make sure you only the outside line is set to cut by selecting the design and clicking "Cut Edge." If any other cut lines are on, select them and click "No Cut". The recommended cut settings will be listed along the bottom after you have selected a material. Now you're ready to print! From here on out do not move anything in the design space in Silhouette Studio! Make sure the paper you are printing on is in your printer. I get asked all the time what the best printer for Silhouette CAMEO is so you can check out my printer recommendations here. 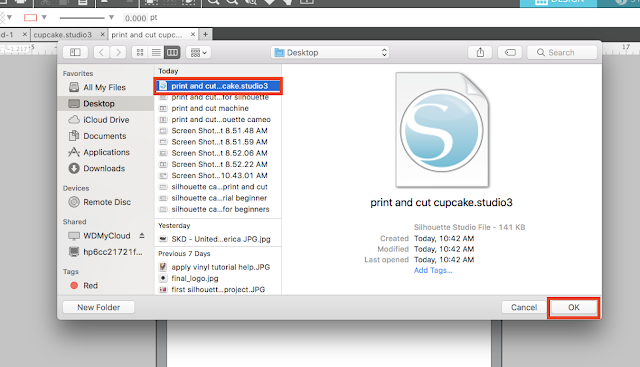 It's easy to print from Silhouette Studio...simply go to the File menu > Print or click the Print tool button from along the top tool bar. This will open up a pop up box for your printer settings. 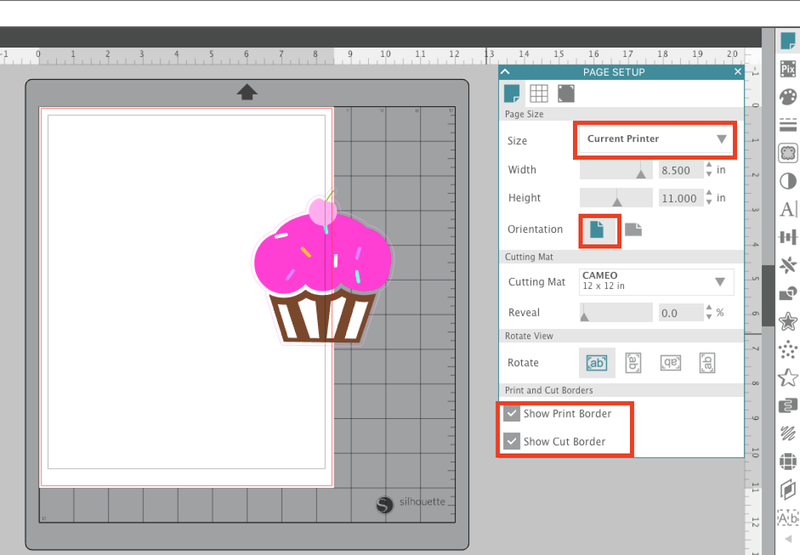 When you click "Print" whatever is within the printer border in Silhouette Studio will print. TIP: If your printer is not printing anything, but instead spitting out blank pieces of paper when you print from Silhouette Studio, it's likely due to lines not having a line weight. 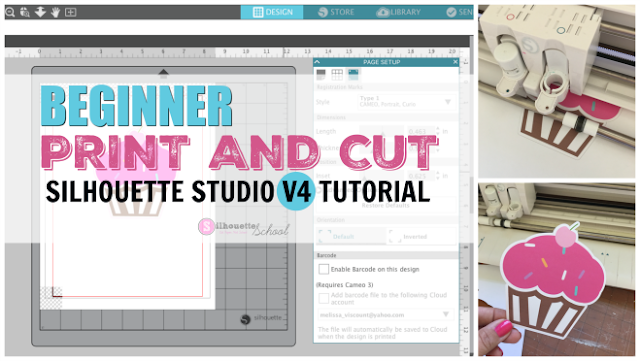 You can check out this tutorial on why you can't print from Silhouette Studio here. You'll notice not only has the design printed, but so have the registration marks. This is what tells the Silhouette machine where to cut! Remove the printed sheet from the printer and place it on your Silhouette cutting mat. If you are using the CAMEO 3 AutoBlade make sure it's seated correctly in the left/red carriage. If you're using the ratchet blade with the CAMEO 3 or any of the other machines, manually adjust it to the recommend blade depth based on the material you selected, using the built in ratchet on the front of the machine. Go back into Silhouette Studio and from the Send panel > Send tab click "Send." The Cameo machine will first use its red light to find the registration marks and then begin cutting. If you get a Print and Cut registration error this troubleshooting tutorial should help you fix it - it could be something as simply as turning on another light. When the cutting is complete you can remove the cutting mat from the Silhouette machine. Isn't it amazing how the Silhouette machine cuts so accurately and precisely around the edge of your print and cut design! This was amazing! I got my Silhouette Cameo 3 yesterday and was a bit perplexed of how people could get such colorful designs out of their cameos. Your class helped me so much and I am so excited to get to learn more! Thank you so much! Great tutorial, thanks. 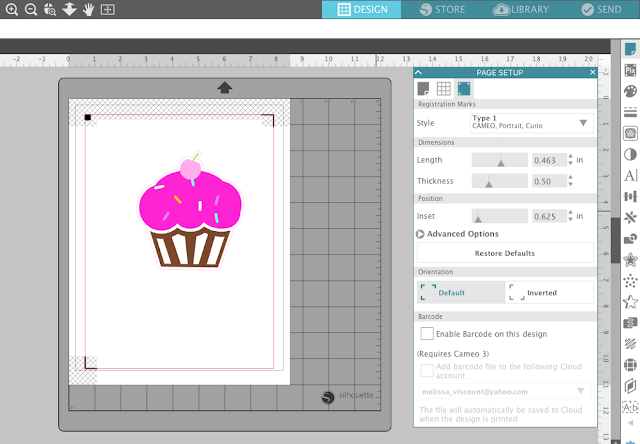 What I need to know now is how do I turn my own vector image into a file suitable for print and cut? I tried saving as an svg in illustrator but I can't seem to open that file type in the silhouette studio. I hate to admit this, BUT I own one of the 'old Cameo models' and have never done print and cuts - I was always afraid of them. WELL...this is a game changer in using my Cameo!!! Why was I afraid? Look out ink on my printer! lol Once again, I should have trusted Silhouette School all along! Thanks a million, Melissa!